Click on “Latest Sightings” on the menu bar. This will open the sightings for today. At the top of the newly opened window click on “Register” or “Get a free account now” (as shown below). This will open up the following form. Complete as appropriate and click on Save. If you need clarification on any of the fields then hover over the “?” to the right of the field. 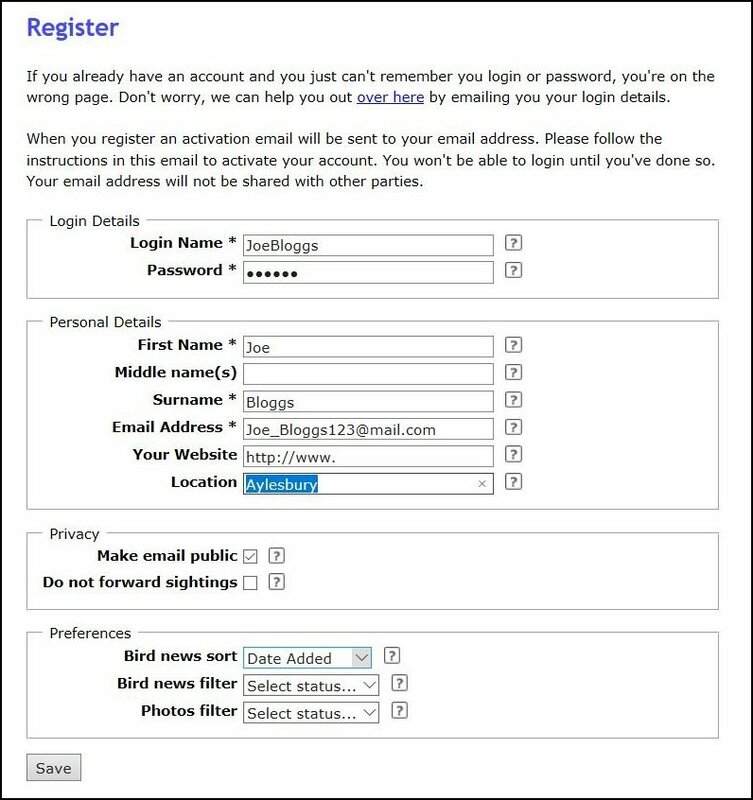 After to click on Save you will be registered in the database The database will automatically send an email to your registered email address which you will need to respond to in order to “Enable” your login. If for any reason you don’t receive this email, firstly check your email Spam folder as it may have been routed there. If you still can’t find it then contact the website administrator at webeditor@bucksbirdclub.co.uk The webeditor can manually enable your account if necessary. Once enabled you can start submitting sightings.